Makes 4 servings. 1¼ cups per serving. Spray the same skillet with nonstick cooking spray. Add chicken; cook and stir for about 10 minutes or until chicken is fully cooked. 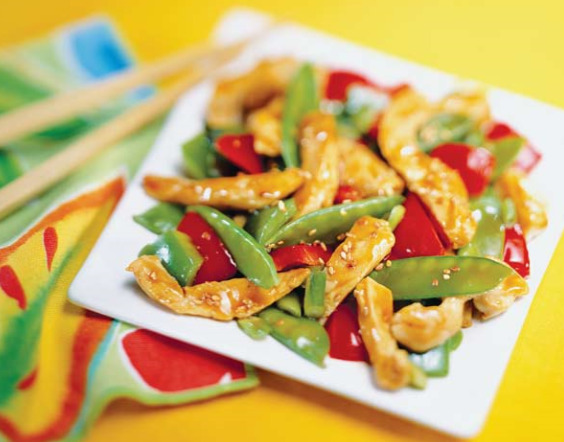 Add snow peas and bell peppers; stir-fry for 3 to 4 minutes more until vegetables are crisp-tender.